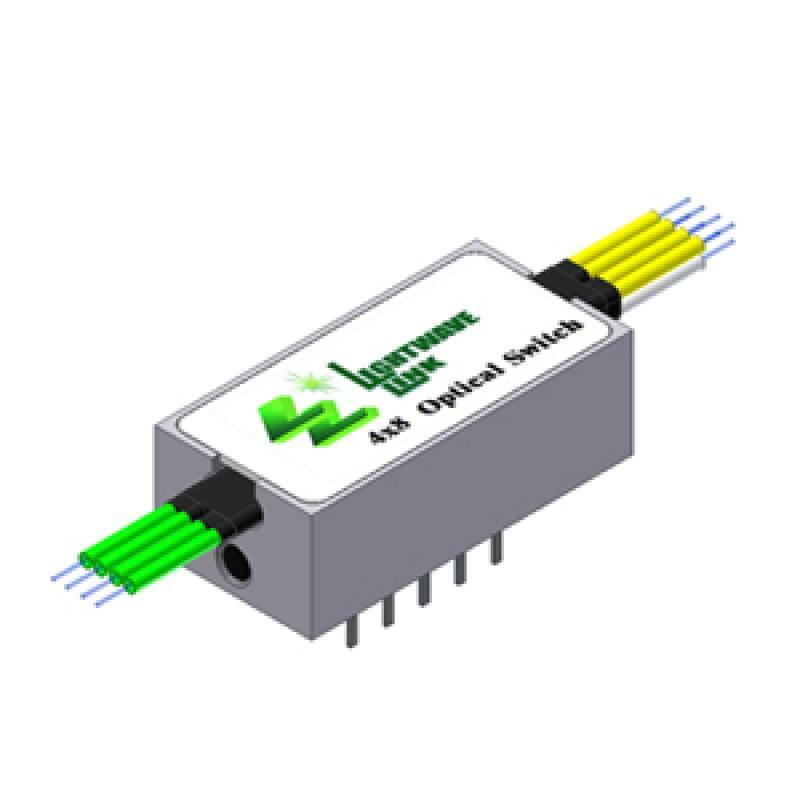 Lightwave Link Inc. 4x8 optical switch is designed for use in optical fiber communication networks, measurement instruments and PCI-E Cards. The switch consists of two ports that selectively transmits, redirects, or blocks optical power in a fiber optic transmission line. The optical switch must be actuated to select or change between two states. Furthermore, for the Latching type, it only takes an electrical pulse width with duration ≧20msec to change the state. As a result, it consumes low electric energy to operate the optical switch. Lightwave Link Inc. 4x8 optical switch fully complies with RoHS Directive 2002/95/EC (2008/385/EC). 1. Optical parameters excluded connectors. 2. A minimum ≧20ms pulse is recommended for latching type of switch.